Draft: 2012, Milwaukee Brewers, 4th rd. November 13, 2018 RHP Tyler Wagner assigned to Leones del Caracas. November 2, 2018 RHP Tyler Wagner elected free agency. June 25, 2018 Tyler Wagner assigned to Round Rock Express from Frisco RoughRiders. June 9, 2018 RHP Tyler Wagner assigned to Frisco RoughRiders from Round Rock Express. 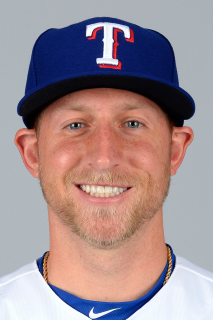 February 26, 2018 RHP Tyler Wagner assigned to Texas Rangers. July 18, 2017 Round Rock Express activated RHP Tyler Wagner from the temporarily inactive list. July 14, 2017 Round Rock Express placed RHP Tyler Wagner on the temporarily inactive list. July 13, 2017 Round Rock Express activated RHP Tyler Wagner from the 7-day disabled list. July 6, 2017 Round Rock Express placed RHP Tyler Wagner on the 7-day disabled list. June 19, 2017 Round Rock Express activated RHP Tyler Wagner from the temporarily inactive list. June 15, 2017 Round Rock Express placed RHP Tyler Wagner on the temporarily inactive list. May 12, 2017 Round Rock Express activated RHP Tyler Wagner from the temporarily inactive list. May 7, 2017 Round Rock Express placed RHP Tyler Wagner on the temporarily inactive list. April 19, 2017 Texas Rangers sent Tyler Wagner outright to Round Rock Express. March 21, 2017 Texas Rangers optioned RHP Tyler Wagner to Round Rock Express. November 18, 2016 Texas Rangers claimed Tyler Wagner off waivers from Arizona Diamondbacks. October 3, 2016 Arizona Diamondbacks recalled RHP Tyler Wagner from Reno Aces. September 20, 2016 Reno Aces activated RHP Tyler Wagner from the 7-day disabled list. May 15, 2016 Reno Aces placed RHP Tyler Wagner on the 7-day disabled list retroactive to May 14, 2016. April 25, 2016 Arizona Diamondbacks optioned RHP Tyler Wagner to Reno Aces. April 18, 2016 Arizona Diamondbacks recalled Tyler Wagner from Reno Aces. March 21, 2016 Arizona Diamondbacks optioned RHP Tyler Wagner to Reno Aces. January 30, 2016 Milwaukee Brewers traded 2B Jean Segura and RHP Tyler Wagner to Arizona Diamondbacks for RHP Chase Anderson, 3B Aaron Hill, SS Isan Diaz and cash. September 22, 2015 Milwaukee Brewers recalled RHP Tyler Wagner from Biloxi Shuckers. June 1, 2015 Milwaukee Brewers optioned RHP Tyler Wagner to Biloxi Shuckers. May 31, 2015 Milwaukee Brewers selected the contract of Tyler Wagner from Biloxi Shuckers. September 4, 2014 Tyler Wagner assigned to Huntsville Stars from Brevard County Manatees. March 30, 2014 RHP Tyler Wagner assigned to Brevard County Manatees from Wisconsin Timber Rattlers. March 30, 2013 RHP Tyler Wagner assigned to Wisconsin Timber Rattlers from Helena Brewers. June 16, 2012 Tyler Wagner assigned to Helena Brewers from Milwaukee Brewers. June 15, 2012 Milwaukee Brewers signed RHP Tyler Wagner.